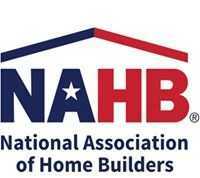 WASHINGTON – (RealEstateRama) — The U.S. Department of Veterans Affairs (VA) announced it plans to provide approximately $200 million in fiscal year 2019 funding to support more than 13,000 transitional housing beds for its Grant and Per Diem (GPD) Program. The list of community partners who will work with VA to provide transitional housing for homeless Veterans can be found on the VA’s homeless Veterans website. 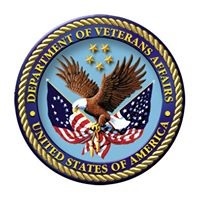 VA intends to award about $2.7 million to renew 12 Special Need grants for support services for homeless Veterans who have chronic mental illnesses, women Veterans and Veterans who must care for dependents under age 18. To receive the grants, which were published in the federal register and other public sources, each bidder submitted an application and underwent a performance review. Through this process, each applicant determined the resources it would need and the housing model for which it qualified to help Veterans transition out of homelessness. Bridge Housing — short-term stay in transitional housing for homeless Veterans with pre-identified permanent housing destinations, when that housing is not immediately available. Low Demand — to accommodate homeless Veterans experiencing chronic homelessness, who were unsuccessful in traditional housing/residential programs. Hospital to Housing — addresses the housing and recuperative-care needs of homeless Veterans who have been hospitalized and/or evaluated in an emergency room. Clinical Treatment — provides residential substance use and/or mental health treatment in conjunction with services to help homeless Veterans secure permanent housing and increase income through benefits and/or employment. Service-intensive Transitional Housing — residential services that facilitate stabilization and transition to permanent housing. Transition in Place — provides support services in the Veteran’s living unit, phasing out over time, as the Veteran adjusts to permanent housing. Established in 1994, GPD provides needed support and services to a number of programs across the country that care for homeless Veterans to help them achieve residential stability. To learn more about VA’s programs for homeless Veterans, visit http://www.benefits.va.gov/PERSONA/veteran-homeless.asp. To fulfill President Lincoln's promise "To care for him who shall have borne the battle, and for his widow, and his orphan" by serving and honoring the men and women who are America's veterans.